SH: One indirect result of the Win, too, is you becoming a member of The Brains Trust on The Einstein Factor. SH: In the interests of full disclosure, so was I. Can you tell us a bit about that whole experience? MP: I felt a bit weird about that, because it is the ABC. You were talking before about had I done any training or what was my preparation or whatever; I still am a bit of a factual television documentary type of person. David Attenborough’s Life On Earth and David Bellamy and all that sort of stuff fascinate me. I always thought of the ABC as “oh, you have to really know what you are talking about to be on the ABC”. And to be told “we want you on The Brains Trust for an ABC program”, I was like “I don’t think I’m up to that”, because the sort of knowledge that I had used on Sale of the Century is very superficial. There is a lot of things that I know two or three things about, but I don’t really know why that happened or I couldn’t really tell you when that happened or whether that thing happened first or the other thing happened after. So… bitsy knowledge. SH: I remember having a similar feeling too, because when you’re next to intellectual giants like Barry Jones and being on a panel with him and he is answering this and giving all the background information and you start to feel a bit self-conscious… but then they had a question about Beyoncé! And he didn’t know much about Beyoncé. So the pop culture and the more contemporary, perhaps more general knowledge things are where you can come into your own. MP: Absolutely. Also after my first show I realised just being a smartarse has as much value on this show as having Dr Jones’ profound level of knowledge; just by having a smartarse line that you can throw away. That’s not fair to someone like Barry, but this is television! So it counts as the same as years of accumulated knowledge. SH: (LAUGHING) Yes, that’s right. God Bless television! Perhaps the latest indirect result of your Big Win is that you’ve recently been cast in The Chase, the Australian version. Can you talk us through how you came to secure the role of one of the Chasers in The Chase? MP: There was an audition process. There was an Australia-wide audition process, as far as I know. For me, because I had worked on The Einstein Factor and various other things, I didn’t come to it as a general audition; somebody within the business had my number and said “Hey we are doing this thing, you could be good for it, come and audition”. So then I went up to Sydney and did the basic first audition which was not dissimilar to this – an office, a video camera on the desk. And then we did the second audition with suits and an attempt at a proper set and so on. And yeah, that was the process really. SH: As a Chaser, I’m thinking you’d need to be at the top of your game, because obviously it’s make-or-break, in terms of the quizzing and general knowledge, your knowledge and also your reflexes and speed and recall. Is there a way to train for that? And do you regularly train for that? But sadly, I’m gonna make you wait until next Tuesday to read them. Yes, that’s it for this week, folks. But before I go, a bit of trivia for you; apart from Matt’s involvement in both The Einstein Factor and The Chase: Australia, there’s another spooky link between the two shows. 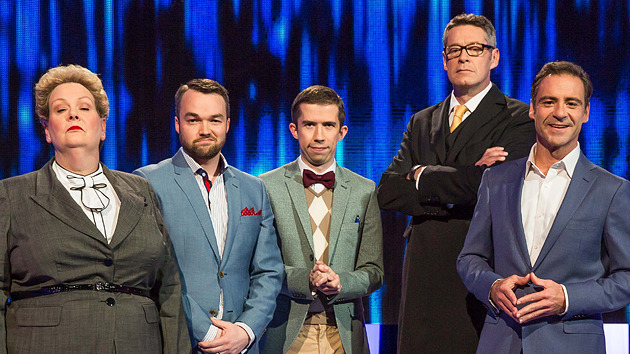 Of the four Chasers in The Chase: Australia, one of them – Issa Schultz, “The SuperNerd” – is a former Einstein Factor contestant! The proof’s right here, at this archived Einstein Factor page. Just goes to show, it’s a small world. Well, it is in the Australian-TV-Quiz-Shows-For-People-Who-Have-Really-Amazing-General-Knowledge arena, anyway.